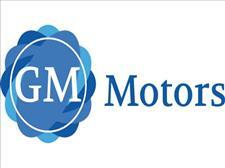 At GM Motors Inc we are proud of the quality used cars we sell and our dedication to serve the needs of our customers. We know that a low price is not everything you look for in a used car. That's why we work hard to make sure any vehicle listed for sale will meet and exceed your expectations: High quality for a fair price. Each member of our staff is deeply committed to your complete and absolute satisfaction. This is reflected in the amount of repeat business we receive. Whether this is your first purchase with us or one of many that you’ve had, you can count on our dedicated sales staff to make it the best buying experience possible.